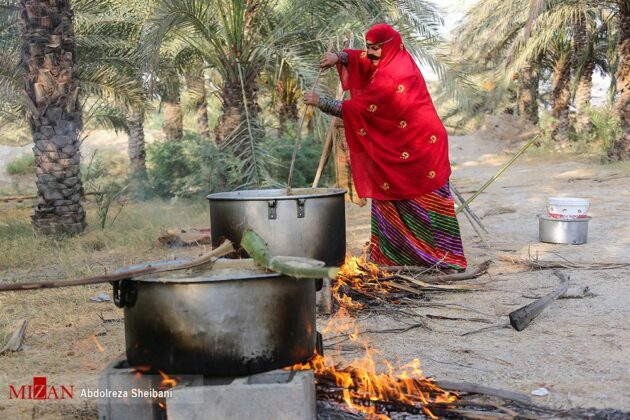 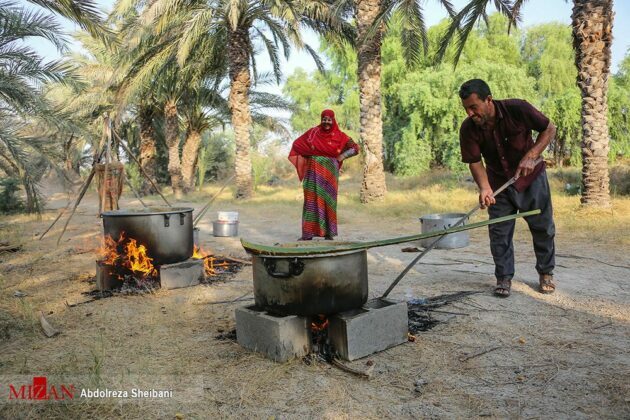 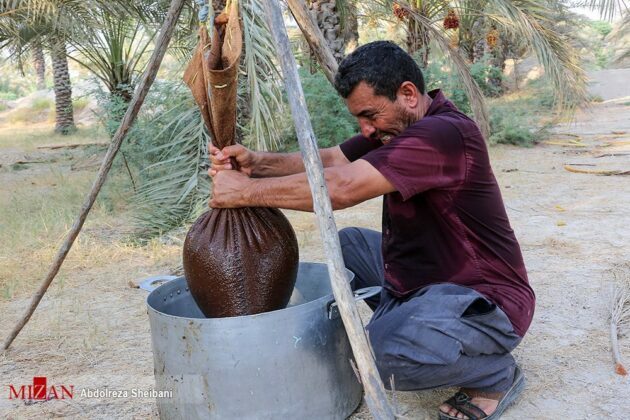 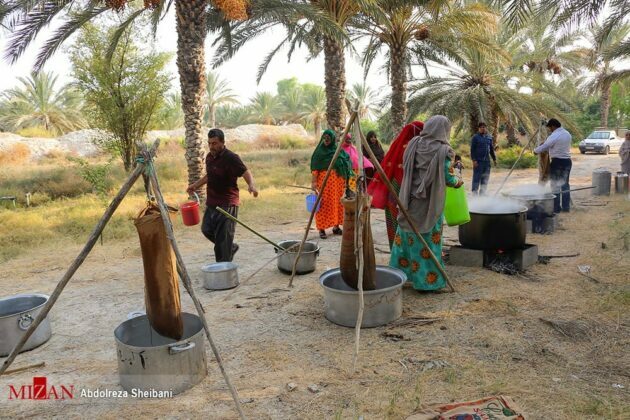 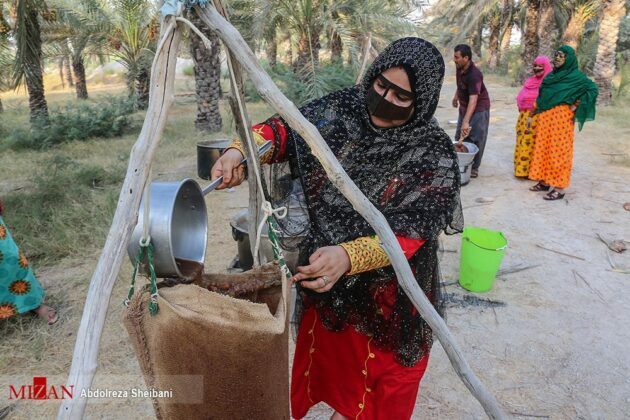 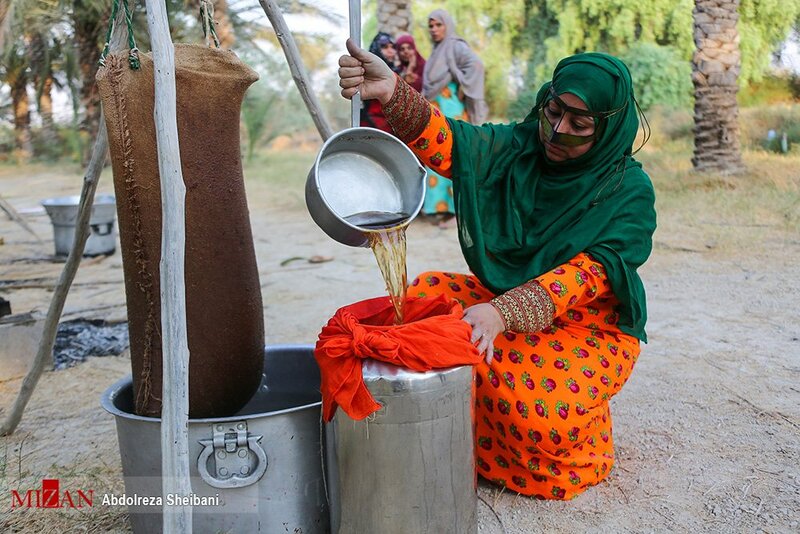 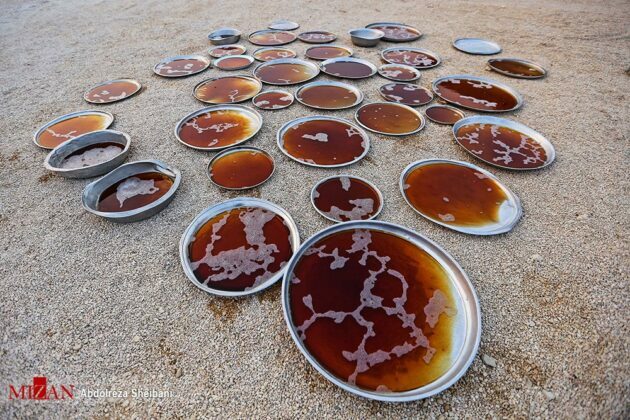 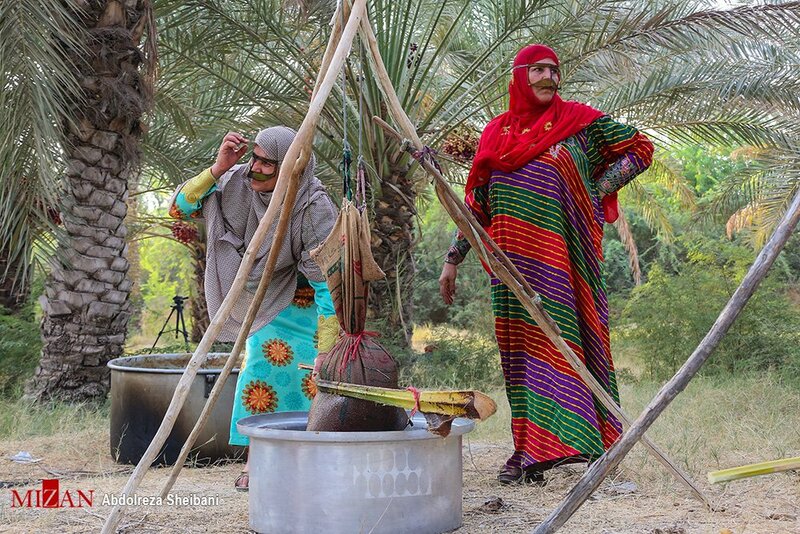 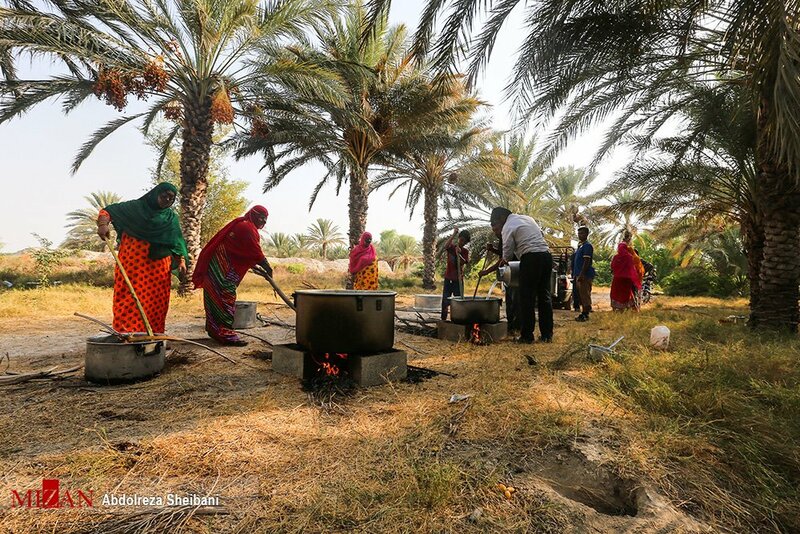 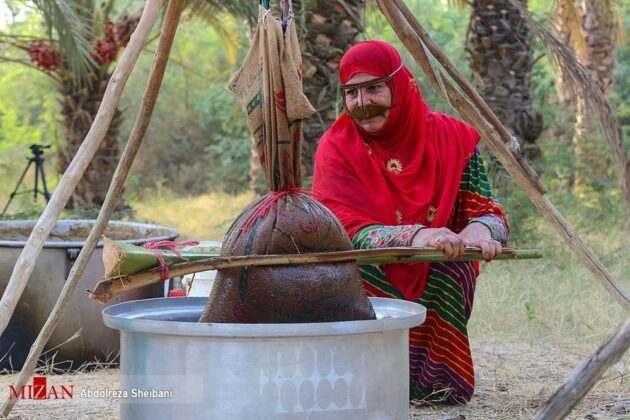 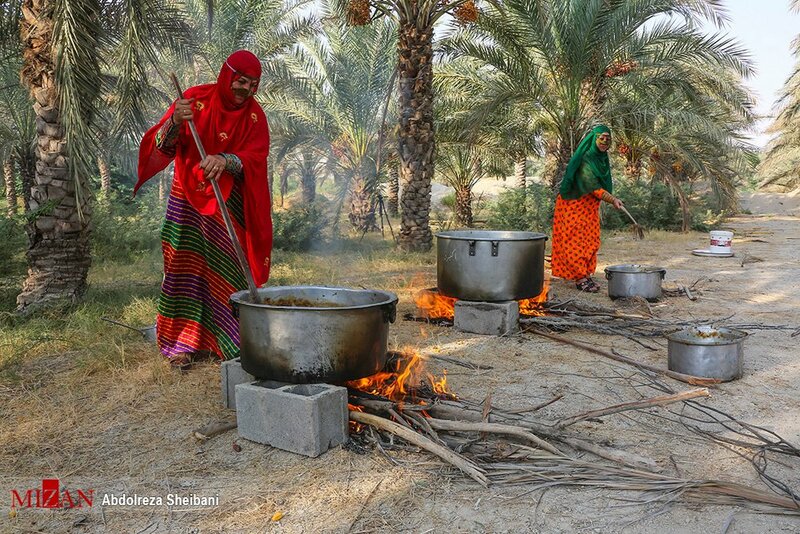 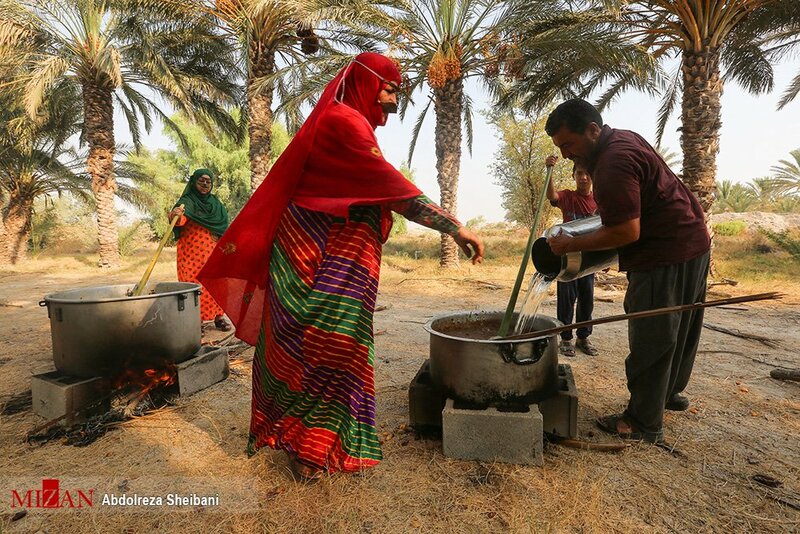 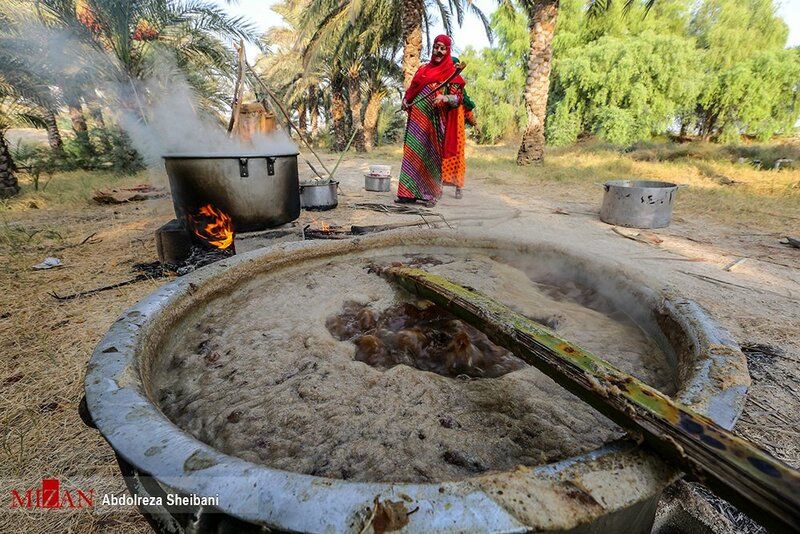 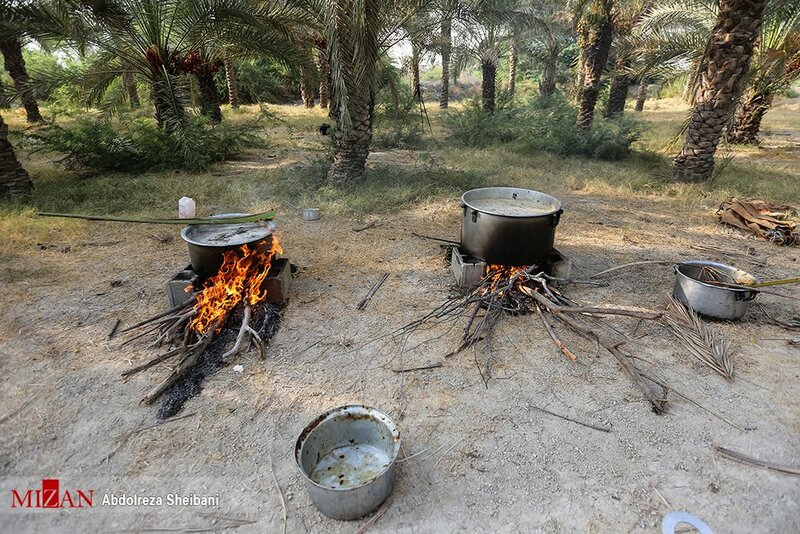 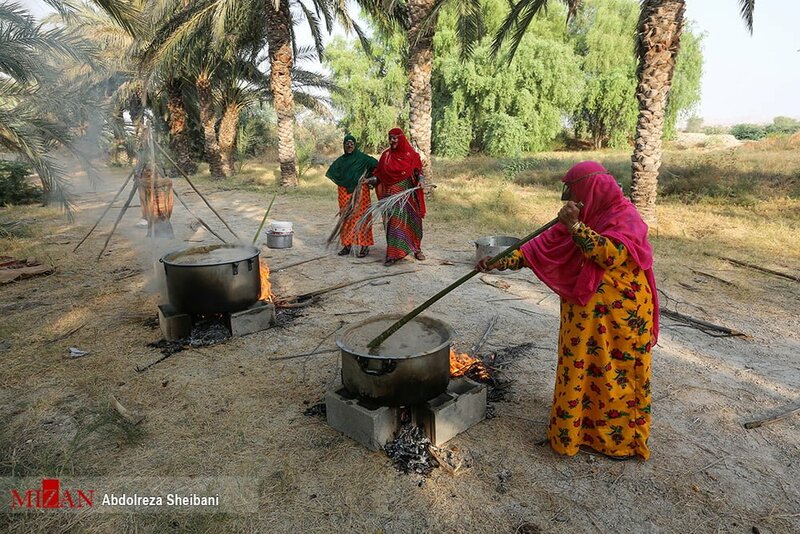 At the end of the harvest season, palm farmers in Iran’s southern province of Hormozgan cook the surplus of the dates and use them to make “Doushab” or date syrup. To prepare Doushab, farmers first pour the dates into the water and boil them. 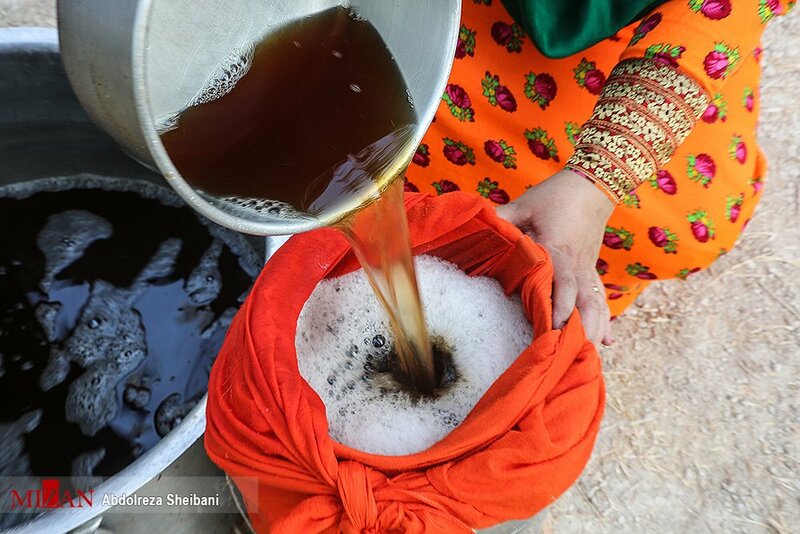 Then, they put the product in special bags to remove the diluted syrup. In the end, they pour the diluted syrup in trays and put them in the sun for a few days to get hard.